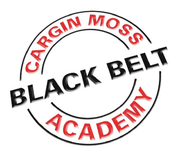 Cargin Moss Black Belt Academy? Not only have we helped over 1000 people get to black belt within the past 30 years but that was also black belt attitude which enhances life skills in all ages. We participate in National championships with great success in our achievements, taking many people to national titles. 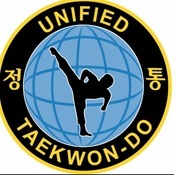 We have also had members participate and winning awards in the first UITF world championship August 2013 and July 2015. We host an annual ‘Presentation Evening’ (May time of year) which our Black Belt Candidates perform a short demonstration to their friends and family, we present with fan fare their Black belt awards. At the same presentation evening we award the time achievers of the student who have dedicated 5, 10, 15, 20, 25 years in training in the martial arts. We have some fun activities for the children before the DJ take over for an evening of socialising, which can be great fun for you if you wish to join us. We also have the benefit of raising money for the N.S.P.C.C. With over 69 different charity events raising excess of £150,000 since 1999 there ia always alot of interesting times. If you bring your own food and drinks we will lay out a table and chairs if needed. be returned either prior to or on the day of the event.